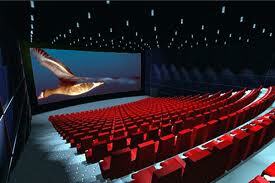 With the establishment of best 3D Cinemas in Lahore, Karachi Pakistan now cinema industry will come back in Pakistan. These biggest cinemas of Pakistan include Rawalpindi, Islamabad and Karachi also play an important role in standing up the Pakistan film industry because now from a period of time it will going down. Even now at present position it will enter in danger zone because from a period of time although from a period of time formation of reasonable movies also decrease. But if any producer and director success to make a reasonable movie then there is not any platform from which it will on air. Through these cinemas good movies get chance for a proper platform that provides entertainment in better way. Further list of these 3D cinemas are given as below so keep in touch with this page and get whole information about these places. List of Best 3D Cinemas in Lahore, Karachi Pakistan are given there. 52 CANAL BANK ROAD LAHORE. Place: Sector B, Bahria Town, Lahore. 249 Staff Lines, Zaibunnisa Street, Saddar, Karachi. The above given list of 3D cinemas are only found in Lahore and Karachi. In other major cities of Pakistan like Faisalabad, Rawalpindi and Islamabad these types of big and luxury 3D cinemas are also working. These also filled with best facilities and equipments that are need of 3D further you can visit this page and get more details about it.